As a member of the firm’s municipal practice group, Patrick Armstrong represents townships, planning commissions and individuals in a variety of municipal and land use matters. Patrick has extensive experience in all areas of municipal law, as well as appellate, zoning, litigation and real estate matters. He has particular professional knowledge and experience related to requests filed under the Pennsylvania Right-to-Know Law. 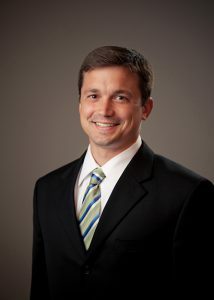 Patrick also represents companies and individuals in employment law matters and workers’ compensation claims. The firm is especially proud of Patrick’s recognition by Philadelphia magazine as a “Rising Star” in the Pennsylvania legal community in 2008, 2009 and 2010, following a similar recognition in 2006 and 2007 from Law and Politics magazine. The Pennsylvania State University Dickinson School of Law, Carlisle, PA, May 2003, J.D.